You’re interested in joining the team? That’s awesome! This is NOT a job. 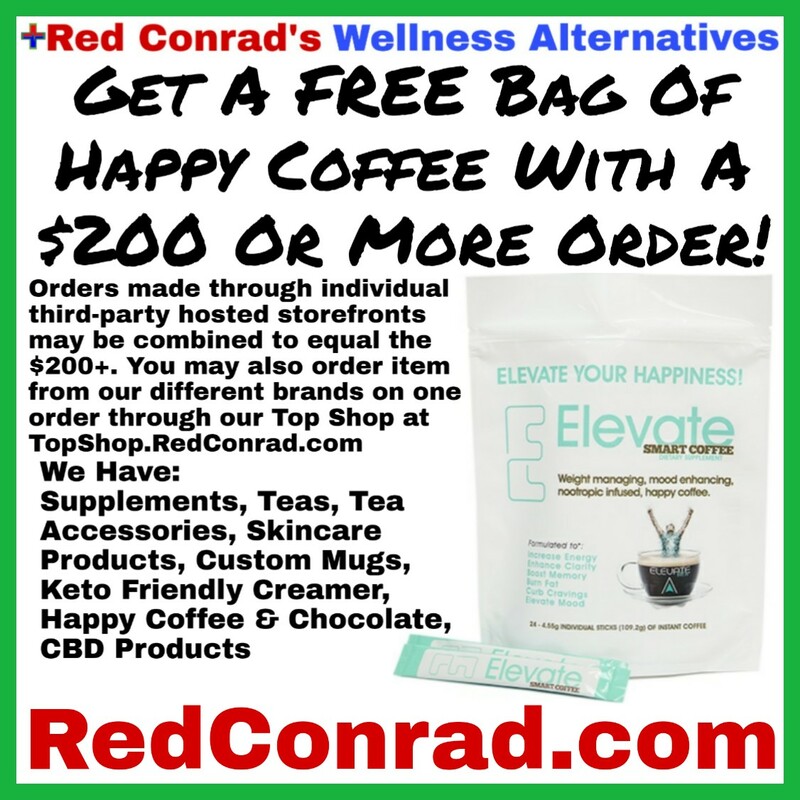 You will be an Independent Business Owner through the brands offered by Red Conrad’s Wellness Alternatives. You choose how many brands you want to represent. WAIT! Before you click away, please read the below information. Being you’re own boss doesn’t have to be scary or intimidating . Why? Because you already have the skills you need! You work with Uber or Lyft because you already know how to drive, right? Sell on etsy, Shopify, or eBay because you already created products and now you’re expanding exposure to sell them, right? Well, selling for other brands is as simple as talking. Yes, talking! You already talk about your favorite products and recommend those products when someone asks for an opinion. So why not get paid to refer products and do what you’re already doing? Red Conrad’s Wellness Alternatives is a new kind of business/market. We are DS (Direct Sales) with a twist. Under the Red Conrad’s Wellness Alternatives brand, we offer several DS brands and traditional. You may join the family by joining one or more of the DS brands we offer. This opportunity is only for the serious entrepreneur minded individuals. This is not a “get rich quick” opportunity, it’s a business. You must be able to overcome “shiny object syndrome” to see success. We’re more than just a team, we’re family. As a family, we help each other and support each other. First it needs to be understood you would be an independent contractor as an IBO (Independent Business Owner), not an employee. You will essentially be your own boss. There are a few steps to go through to join my team and a few things you should know. You will do fine in this business. In the beginning it may be rough, but the rewards are well worth it. No more living week to week (if you stick with it for the long haul). Your income is entirely upto you; I cannot and will not guarantee an income. Fill out the below form completely. Visit the company website(s) you are given based on what you want to help promote, and follow the instructions to setup your account. Add me on Facebook (or MeWe) so I can add you to the teams support group(s). View training videos and materials (not required, but available IF you want to use them). Stay in touch with me. If you setup your account and go it alone, you may still earn an income; but the chances are higher if you stay in contact and follow my lead. The difference between many DS companies and my team is that we work together as a team. It is my job to help you share your story and succeed in this business. We will help you every step of the way. Unlike the majority of other sponsors/team leaders in most companies out there, you have access to me 24/7 regardless who on our team recruited you. I’m here for the whole team. Your success is my goal. Follow The Formula. You will be emailed by me welcoming you to the family. The email will contain my training, formula, and marketing materials. If you utilize the formula, 80% of the work is done for you. Supplements (Vitamins, Minerals, Herbs, Essential Oils)- This is an amazing opportunity. Best products on the market at the best prices, and the bonuses are out of this world. All products are non-GMO and organic. This opportunity is free to join with a product purchase of $40 or more (or a $40 annual fee without a product purchase), I recommend purchasing the Super Multi-Vitamin (covers half the fee). CBD Oils / Hemp Products – This opportunity is free to join. The company offers the best quality CBD/Hemp products on the market. If you’re a fan of CBD and can’t stop talking about it, you want to join this opportunity. Wellness Teas. The best selection of wellness-geared non-GMO and organic teas and culinary matchas you’ll find. Tea drinkers are going crazy for these teas. This is an affiliate marketing plan, NOT direct sales (your back office includes marketing materials and training). You can work this as an affiliate marketer and/or wholesaler. Currently FREE to join. “Smart” Beverages & “Happy” Products (#1 Opportunity, fastest growing). A special formulated herbal coffee and chocolate that offers a bunch of amazing health benefits. There are also other products, such as Xanthahumol and CBD. By far the best business to be in. There is an annual fee of $99 (which covers replicated website, digital marketing materials, 3 D.O.S.E. Sample Packs, Ele App, Elevate Magazine, Getting Started Pamphlet, S.A.M. Overview (Comp Plan), Product Brochure, Elevate Pink Brochure). I highly recommend you join this one. Why all? Maximize your potential! You could pick one and do things the “traditional” way, or you could follow our lead and offer a variety of related products. The choice is yours! As additonal DS product lines are added to our selection and made available, they will be added to this list. Red Conrad’s Wellness is a company and brand in and of itself that only offers the best of the best non-GMO and organic products offered at the best possible pricing. Some companies that offer this happen to be direct sales companies that allow sales through businesses. Since I offer these different products from these different brands to my customers, I want you all to have the same option to carry (promote) all, a few, or just one based on your interests. We’re a different kind of business. Because we are supplied by both traditional businesses and direct sales, you must join our teams in the direct sales companies to experience the full-benefits and be paid full commissions on sales. Sales of products supplied by traditional businesses, you will be paid a percentage of each sale you refer. Upon joining the team, you will recieve (optional) training and the “Stupid-Simple Formula For Success” I put together. Your direct sales links will also be placed throughout this site in the respective sections. Which helps you because our team site (this site) is searchable. So when someone searches on Google, Bing, Yahoo!, etc, and finds the blog, when they click from the blog to the main part of the site chances are high they will click on your link if they’re from your state or they know you. It’s my job to see you succeed. Ability to work from anywhere. All you need is a smartphone, tablet, or laptop with an internet connection. Time freedom. You set your own hours. Though the more you put in in the very beginning, the less you will need to put in in the future. Financial freedom. If you follow my lead, and stick with it for the long haul, you will achieve amazing income potential. Complete Wellness. It goes without saying that it’s easier to sell that which you use yourself. If you use the products you sign on to promote, you will achieve a healthier you. Add a physically, mentally, financially healthy you together and you are well on the path to complete wellness. The joy of helping others with their health needs and reach their health goals. Be Your Own Boss. Add the above benefits together and that’s what you are. No more job you hate. You will be your own boss of a business you built (though my team of business owners is here to help you). Done For You Formula – You will be provided with a formula and complete training. Social networks are fighting against “spam marketing”. Our formula and training will teach you how to market properly to get long-term results. Follow the formula and you will see success. BuyBack Policy Applies To Everyone! I have a buyback policy where I will buyback products from customers if they don’t like it. Regardless who on the team they bought it from. This applies to you too! If you buy a kit and decide this business isn’t for you and you don’t like the products, I will buyback your unused product. To view the policy, click here. Team Perks – Contests and Giveaways I run for our customers are available to you as a team member AND the team gets team only giveaways, contests, and bonuses I pay myself as well as what each brand offers. So you have potential to win free product and get awesome bonuses from me. It is not required to purchase, use, or stock any product. This can be done completely online. Whether you live in a well populated city or a small rural town, you can do this. Though it is recommended, when you could afford it, to use the products you’re promoting to others. It is far easier to promote products when you can show and tell people how the products are benefiting you and how the products could also benefit them. You do not need to recruit team members to be successful, this can be done strictly selling to customers. Health products may be marketed and sold to individuals and non-chain stores (fewer than 5 locations). The teas may be marketed and sold to anyone, including individuals and chain stores! All you need is a smartphone, tablet, laptop, or computer with an internet connection. I work 100% from my smartphone. So if all you have is a smartphone, you can do this. Who Can Benefit From This Opportunity? The amazing thing is that just about anyone could benefit from this and grow an income on the side. If you’re looking for an extra-income or career change, willing to put in the work, and are willing to learn the industry, this may be for you. Whether you’re looking to earn an extra few hundred per month or looking to replace you’re job, the potential is there with this opportunity. I do this full-time and will help you every step of the way. Whether you’re an extrovert (out-going) or introvert (shy), you can do this if you put your mind to it and follow the training. Click Here for a testimony from one of our team. By submitting the above form, and/or joining our family, you understand that I am in no way making any income guarantees. Direct sales is a tough model and the Health & Wellness industry is very competitive. If you earn and how much you earn is entirely dependent upon your efforts, persistance, consistency, and ability to follow instruction. If you have any questions, these will be addressed upon recieving your submitted application; alternatively you may email me. Don’t want to fill out the form? No problem! Here for the Teas and then click “Opportuni-tea”. And you’ll be able to get yourself setup in no time. I’ll walk you through how to set up your back office once your account is created. If you click a link to get signed up and a member of my team referred you, please email me stating so, so I can place you under my team member who referred you. On average, it takes 3-6 months to begin earning decent income and 1-2yrs to be able to replace your job. Only very few hit $10K/mo or higher in less than 3 months time.